This versatile 24 gun safe from Stack-On allows you store up to 24 long guns or you can configure the interior to have small shelves for small objects and 12 long guns. A gun safe like this is also perfect for protection of handguns and important papers and other valuables. It has an attractive hunter green exterior finish and fully carpeted interior. 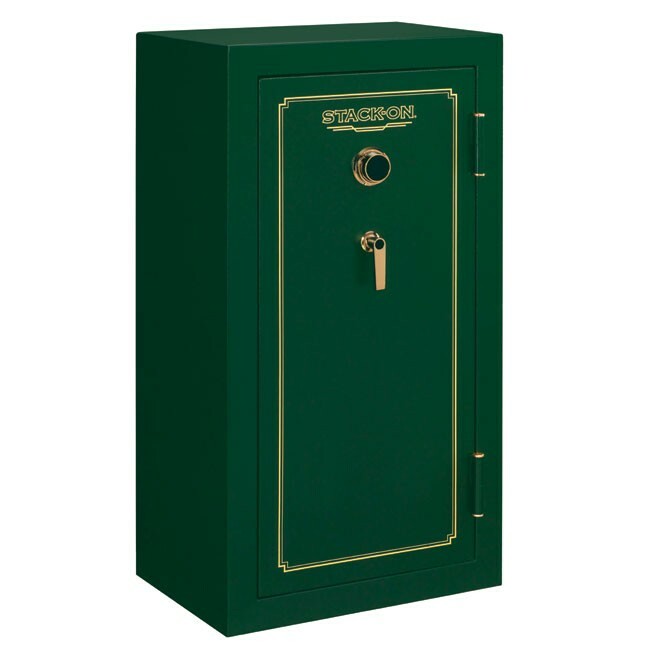 This is a great choice for the customer who wants a high quality mid-size gun safe with fire proteciton!